Today is JobMob's 3rd birthday. JobMob was officially launched with a press release on March 21st 2007 after a “beta” period lasting just over 3 months, during which I spent a lot of time experimenting with blogging, meeting other bloggers and really just trying to understand what the possibilities were as the first job search blogger in Israel and one of the few around the world (there are more than a few now, many of whom are terrific). The first JobMob blog post actually appeared on Dec. 11th, 2006 and it didn't even have anything to do with job search! It took me a little while to get things on the right track. The screenshot here on the right shows what JobMob looked like a few weeks after launch. There were about 40 subscribers at that point. Actively job searching in Israel back then, my initial intention for JobMob was to share my mistakes and the lessons learned as a job seeker while also looking back on my past job experiences in Israel, France, the US and Canada. And that's still true today… but when you spend so much time so deep in one subject, helping and being helped by so many people… you discover things you would never have known otherwise, and for that I'm grateful to you. You're part of a terrific community here on JobMob, and I very much appreciate you being here. Thanks to you, JobMob has grown to the point where the 1.5 millionth unique visitor will arrive in the next week or so, about the same time that the 4 millionth pageview will occur. The JobMob Community is more international than ever, with regular visitors and contributors hailing from around the world. 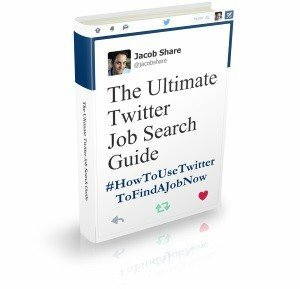 In the past year, JobMob articles or I have been mentioned in The New York Times, The Globe And Mail, The Guardian, and others. JobMob is currently #5 in Invesp.com's Top 50 Career Blogs, and PostRank.com rated JobMob as the 7th best Career blog of 2009, and the 11th best blog in all of Israel. More important than all the rankings and recognition, JobMob continues to help many, many people learn about job search on the road to finding better jobs, faster. Thank you for making JobMob what it is today. Here's to an even bigger and better 4th year. Wish us happy birthday in the comments! Was there a JobMob article that really stands out in your mind from this 3rd year? Share that too. 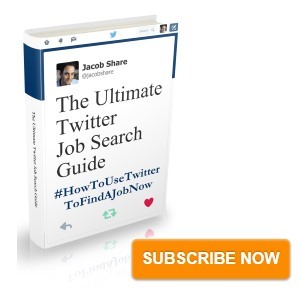 Subscribe to JobMob via RSS or email and follow me on Twitter for the best job search advice online. Happy 3rd Birthday for JobMob: Today is JobMob’s 3rd birthday. RT @jacobshare: Happy 3rd Birthday for JobMob http://su.pr/1aPlrI || Congratulations @jacobshare! Great site! .-= Melissa´s last blog ..03/19/2010 #FF — Honest Advice =-. Congratulations! I’m glad you stuck with it, this is a great website! I’m always referring clients to your articles. Mazal tov! Even though I’m employed now, I still refer people to your site. Jacob, you have proven to be a fantastic content producer and an ingenuitive (sp?) platform creator (by that I mean you have some cool widgetry going on with the blog! )… I’ve been impressed since the beginning and you continually impress me… keep it up! .-= Jason Alba´s last blog ..YIPPEE! I Landed a JOB! =-.